Is the LDS Church the only true Christian faith? Mormons and Protestants will host a debate. (Chris Detrick | The Salt Lake Tribune) Mormons walk around Temple Square before the afternoon session of the 186th LDS General Conference at the Conference Center in Salt Lake City Saturday April 2, 2016. Of course, Latter-day Saints are not the only Christians who make that assertion. So Christ Presbyterian Church in Magna decided to host a dialogue — debate? — on the topic. On Friday, Alma Allred, a Latter-day Saint who has served in numerous church callings, including bishop and Institute of Religion instructor at the University of Utah, will exchange views with James White, author of more than 20 books, including “Is the Mormon My Brother?” and “Letters to a Mormon Elder.” It will take place at Christ Presbyterian Church, 8630 W. Main St. (2700 South), Magna, at 7 p.m. Admission is free. 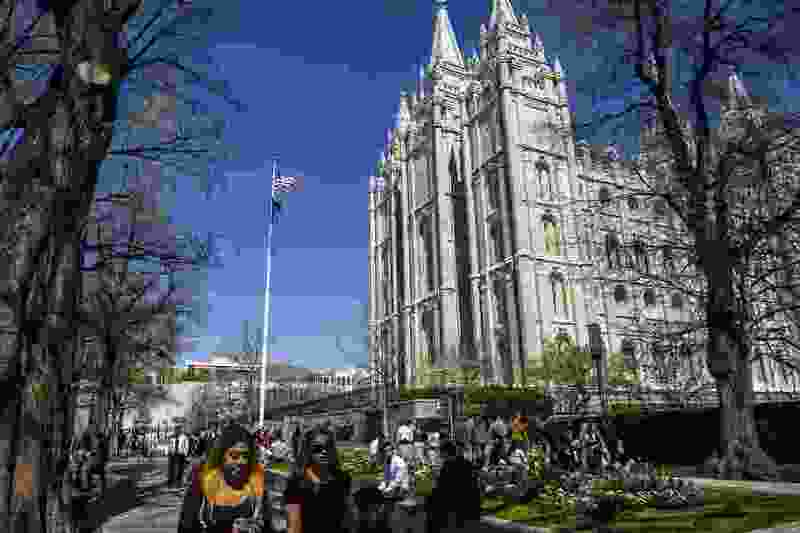 The majority of the audience will be Protestants, says Jason Wallace, pastor at Christ Presbyterian, but 30 percent to 40 percent typically are Mormons.